Sony has released a phone with a 23MP camera (a year ago…when I first started writing this blog post. HA whooops). “Oh wow!” you say. “That camera must be amazing! I mean, 23 megapixels!” Well you might be right – the camera could be amazing, but it wouldn’t have anything to do with the megapixels. In fact, the phone you’d be viewing the pictures on doesn’t even know what to do with 98% of those pixels. Here’s the truth – tons of megapixels are *not really all that useful for most people*. And now you go, “ixi, you dunderheaded ninny! How could that be? You’re CRAZY!” I know, I know, collecting as many megapixels as possible is a practice that has been instilled within us so deeply that it’s hard to imagine that more megapixels doesn’t always equal a better camera. That’s what all the marketing is about for every camera ever (and now phones), but it’s just hype. Unless you want to print on a billboard or you’re a 4k cinematographer, you really don’t need sooo many mega-ixils! ‘Sup. I’m a person who has a camera phone and likes to take snap shots of my friends, dog, food, and myself. Hi! I’m a person who has a camera phone and I use it for food pics and cat pics and all that jazz too, but also for travel and sometimes I like to print out my pictures when I get to the top of a mountain. But probably not much bigger than an 8×10. Howdy! I have a DSLR and/or a camera phone, and I like to print my pictures big on occasion, like 16×20 or 20×30. HULLO! I’m an amateur or professional photographer and I like to print my photos big, like 24×36 or 30×40, AND/OR I like to crop a lot of the image out when I’m editing to zoom in on a specific part. Greetings! I worry about things like whether or not I will be able to zoom in on my photos on my implanted virtual reality camera in 30 years. Ok, you could probably use those 23MP. Knock yourself out. As technology evolves, the screens are going to get more and more pixel-dense, and our devices WILL require more and more megapixels so that the pictures look good when we view them on our pixel-crazy screens. But right now, we have more megapixels than the average person can “use” on their camera/phone. Something else to consider is that more pixels means more data, which means bigger pictures, and that can slow performance and image transfers down considerably. SO. What *should* I be looking for to determine if a camera is good? Well there’s a lot to say about that. The short answer is the sensor and the lens(es). But NOT the megapixels. Wanna guess how many I’ve got in my professional camera bodies? Consider yourself a little more edjumacated! I’ll bet that you think those prints sitting on your desk are made with ink. After reading that sentence, you’re probably starting to second guess yourself. Read on to find out the TRUTH! Photographic prints are the kind you put in an 8×10 frame or stick in those albums with plastic sleeves. Otherwise known to you as “a print”! Photographic printing is also used in certain types of albums. The papers are bonded to substrate (a thick cardboard-like material) so that the pages become unbendable and untearable (unterrible?). Ok, ready to learn the secret? Just like the receipts nowadays are printed using heat-sensitive paper, photographic prints from digital files are made using light-sensitive paper. 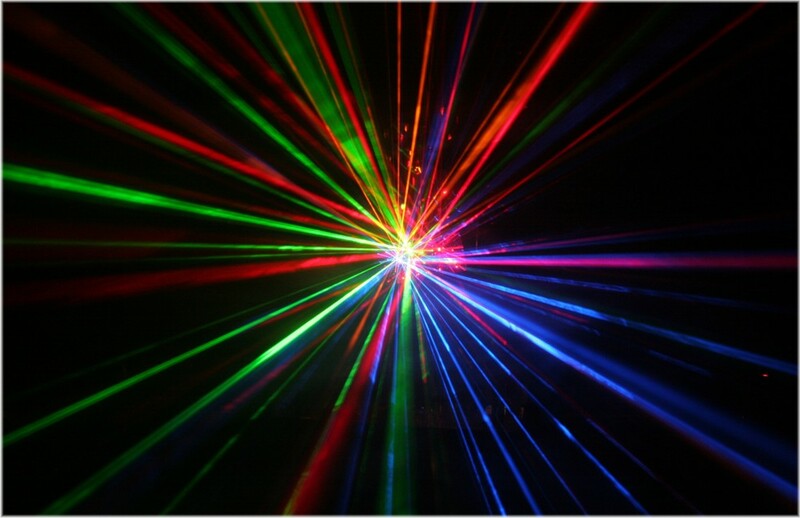 My lab exposes the paper to a laser light source, and the image that develops is simply a reaction to the light. Because of this, the image is a permanent part of the paper, or more rather, it IS the paper! There’s no scratching that stuff off. Believe it or not, there is a difference between photographic printing when it comes to B&W vs color. This is why when you order B&W prints from Shutterfly they look purple. I love purple, but I want my B&W prints to be black and white, thanks! Ordering from a professional means the photographer can specify with the lab to use the B&W photographic printing process. There’s a time and place for professional prints and a time and place for consumer prints. It all depends on the quality, color accuracy, and longevity you’re expecting. I always hand my clients a bunch of prints of the same picture. One of them is from a professional print lab, the rest are from various consumer labs. Not only do they always know which one is the professional print, but they often make comments like, “ew, the Walgreens one is green. The Target one is neon. The Shutterfly one isn’t sharp. The Costco one is super dark.” It’s better to make an educated decision after seeing what you’re getting yourself into either way! Well, I hope you learned something new today. When I learned about photographic prints my eyes got wide. Pretty neat stuff! If you found this post helpful, feel free to comment and share it around!